The rise of this new sport of Paddleboarding that is dear to many of us has been quick. Touted as the fastest growing sport in the world. But, Stand Up Paddleboarding has been around, possibly, since pre-early Homo sapiens began walking the earth and devising new ways to hunt, travel, and see their world. Spend a hot anthropological minute exploring our past and the possibilities are vast. These roots telegraph through Eastern cultures as traditional Chinese stand up single bamboo rowing or Filipino stand up bamboo rafts. If we peer across the ocean to Israel, their native Hasake is a traditional lifesaving vessel which you stand up and paddle. 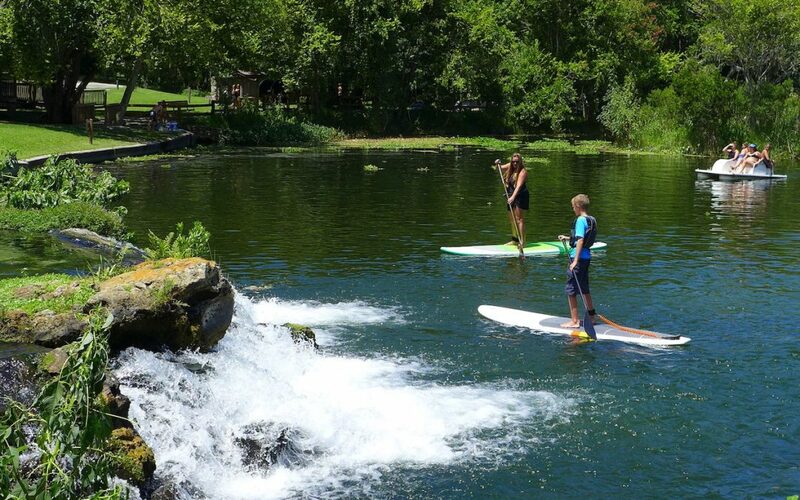 We do not have to look hard to see stand up paddle boarding in recent, local history. Check out Canoeing with Reg Blomfield, a Canadian. You will find an amazing video of him performing many interesting tricks with a canoe, amongst them, he is standing up. Black and White pictures of paddlers in the 50’s traveling the Florida Everglades on Longboards (surfboards) with canoe paddles and storage for food are around. A representation of our modern connection to our Native American roots. Apalachee to Seminole, have used dugout canoes to travel and hunt, standing up allowed them to gain a better vantage point for both and freed up room for storage. In Florida, our recent growth in the sport of Paddleboarding has started in spits and bursts of growth. The allure of surfing has drawn many to the sport in coastal areas. At times tempered by traditional prone surfing’s resistance. Paddleboarding’s rapid growth has left the base and lower section of our pyramid too narrow. We need it to grow to support the higher levels of use, which typically see less participation in gross numbers (surfing, racing, expedition, adverse and/or extreme conditions). Canoing and Kayaking demographics are indicative of what we will see in SUP. But, the growth has been strong, none the less. Florida has no shortage of watery playgrounds, local inhabitants, and travelers. However, the real growth is to come in the recreational and touring use. In Florida, we have had great support for this from organizations such as Special Olympics Florida (who has a SUP program) to Team River Runner (who takes Veterans with disabilities paddling). Meetup groups have been developed and paddlers of Canoes, Kayaks, and SUPs have begun to band together. As numbers increase of novice paddleboarders, we will see more canoe and kayak shops with SUPs. Recent online sales, the decline of specialty retail stores, and other factors have lead to many SUP specific retail stores. A great representation of the growing support for the sport. We have/will see a shift in this, but that is for a future article. Paddleboarding is different, challenging and fun. In general a SUP is more difficult to paddle than it’s canoe or kayak relative. Standing up leaves us exposed to wind. We are able to move freely, yet lack fixed reference points. Understand the area you are paddling in, your own limitations and how to wear an appropriate life vest or PFD. These 3 things would prevent the vast majority of deaths/injuries reported and help our sport to grow. Get out there, find some new friends, bring some old ones and see this wonderful state from a new perspective.